We needed a bespoke glazing for the entire rear elevation of our chalet bungalow that would make best use of our view and to make a design statement at the same time. The specs changed slightly during the process but Oaktree were not just reactive to these changes but proactive in offering sound advice whilst keeping an eye on the budget. 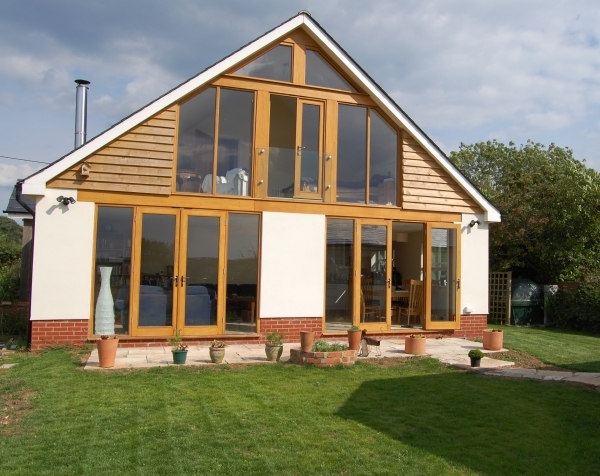 When the first phase of windows were delivered I was extremely impressed with the result and when I had finished fitting the windows and doors into the space I was extremely pleased that the end result was even better than I had hoped for. There was a very slight problem with the weather beading on the French Doors but Oaktree sent over one of their joiners who put the slight problem right. I mention this because there was no hesitation from them and it is the way that an excellent company separates themselves from the pack by how they respond to problems. I cannot recommend them highly enough as a company that seems focussed on offering a very good product with an impeccable service. I will upload a picture of the finished result as soon as I have the lower elevation finished.